What is Reverse DBS (RDBS or Reverse Band)? Put a note in your calendars, you heard it here first. Years from now when everyone is talking about RDBS, you’ll be able to say, “Oh yes, I do remember back in early 2014 when I first started discussing that.” Imagine how witty you’ll sound! DIRECTV has been conducting controlled experiments with reverse DBS. Reverse DBS is simply using your “uplink” frequencies for “downlink”. When DIRECTV sends a signal to its satellites, it’s at a specific set of frequencies. When the signals are received by the satellite they are translated to a different set. This isn’t very efficient, but when you’re talking about a transmission that has to go 45,000 round trip, efficiency sometimes takes a back seat to making sure the signal is nice and strong. 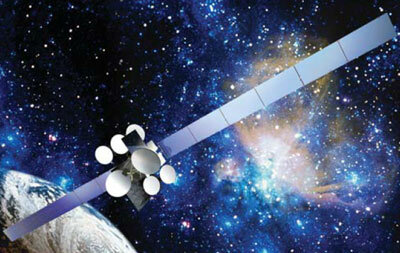 DIRECTV’s last satellite, DIRECTV-12, had a payload designed to try some basic testing of RDBS. It’s next satellites, DIRECTV-14 and DIRECTV-15 which are scheduled to launch in the coming months, will also have some RDBS equipment. DIRECTV is moving very cautiously to see if it’s possible to use RDBS to increase the number of channels that can be used on a single satellite. It’s important to know that all this is still in a very early stage. It’s hard to know what impact RDBS technology will have on you as a DIRECTV customer. If everything does work out the way DIRECTV wants it to, it could be years before you see any benefit. It could be that you’ll need a dish upgrade as you did when you went to HD. It could be that existing dishes will work. There’s a lot of ground to cover before we know for sure. All we can say today is that it’s an upcoming technology, and when your friends start asking about it, point them to this article. Should you use an amplifier on your satellite line?